Companies all over the world—not just in Silicon Valley—are thinking up their next big idea. Working on the Google for Entrepreneurs team, we see these passionate founders building innovative companies in their hometowns. Google for Entrepreneurs provides financial support and the best of Google’s resources to dozens of coworking spaces and community programs across 125 countries. We also create Campuses—physical hubs where entrepreneurs can learn, connect, and build companies—and put on events like Google Demo Day. 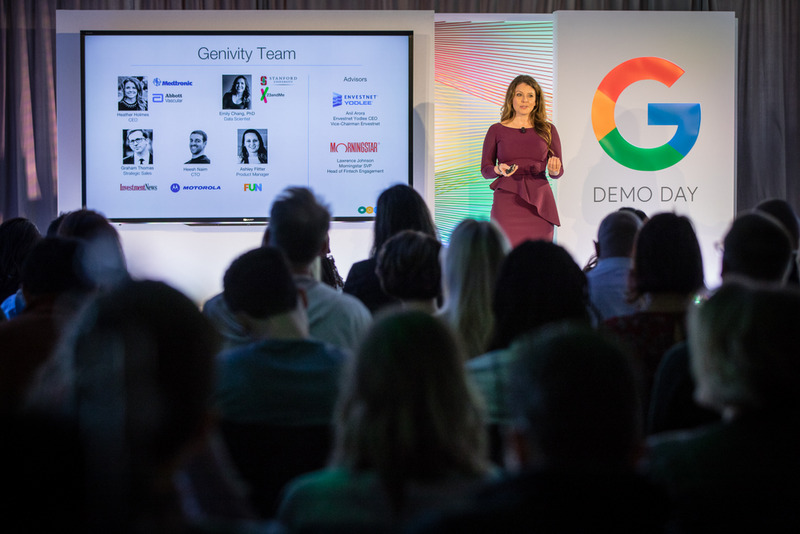 Demo Day, which just happened in San Francisco on March 28th, brought startups from across the Americas to San Francisco, to pitch and connect with leading investors, to grow and accelerate their businesses. 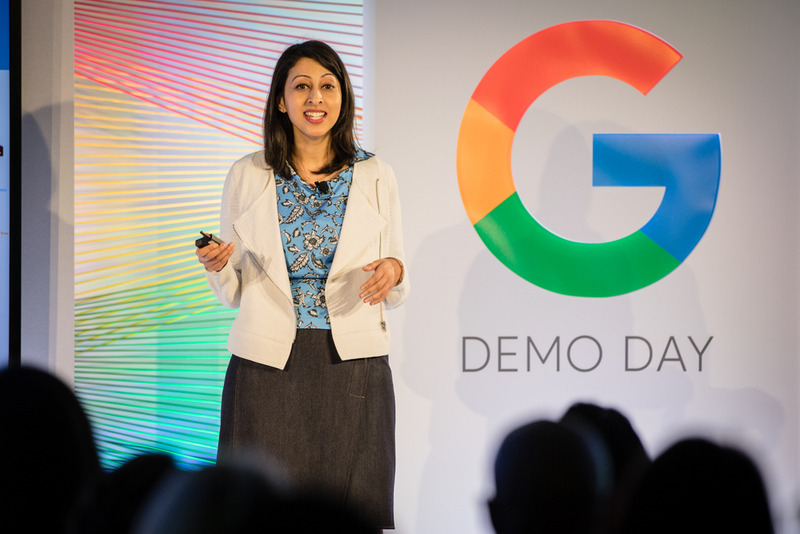 Startups that have pitched at previous Google Demo Days have raised over $259M and ten have been acquired by global companies. This year’s “Judge’s Favorites,” Increase and Shearshare, each received $250,000 investment from Revolution’s Rise of the Rest Seed Fund. In addition, Revolution committed $150,000 to each of the other nine participating startups, provided that the startups each raise $1 million in the next six months. To hear about the Demo Day experience, startup life, and more, we went behind the scenes with a few of this year’s female-led companies based in the U.S.
COO and Co-founder of ShearShare (McKinney, Texas), the first B2B mobile platform that lets stylists rent daily workspace in cities all over the world. Q: What was your inspiration for your company? A: We were tired of hearing about our fellow salon and barbershop owners having to close down because they couldn’t cover the overhead. We want to keep salons and barbershops at full capacity year round and give stylists the opportunity to manage their business on their terms, paying for space when and where they need it. Q: Tell us about your experience at Demo Day. A: Google made each of my fellow founders feel like rockstars! My favorite parts were the mindfulness and mentoring sessions with Ginny Bown, our pitch coach. Co-winning Google Demo Day 2018, alongside our Argentinian friends at Increase, will forever change ShearShare’s trajectory. We are now funded by some of the most genuine, most intelligent, and swagalicious VCs in the Valley, so it’s time to get to work! Founder and CEO of Obsess, (New York, New York) an AR and VR platform for mobile commerce. Q: What was your inspiration for your company? A: I’m a geek who loves fashion. I believe that fashion is one of the fundamental forms of self-expression and the most practical form of art. At Obsess, we’re building the platform to enable any brand—big or small—to take advantage of this new technology, and to showcase their products in a way that wasn’t possible to do online before. A: My favorite part was meeting the other incredible 10 startups and their founders. I was so inspired and so humbled by this genius group of people taking on big challenges. CEO of Genivity (Chicago, Illinois), an AI platform that personalizes future health and elder care costs to help financial professionals better serve their clients. Health and elder care expenses are the number one threat to retirement savings and one of the most important, yet often ignored, parts of a financial plan. When a close relative was hospitalized in 2010 and nearly died, I realized that if my family had known about his specific health threats, they might have been able to prevent his health crisis. It sparked my belief that creating relationships with the key people in my parent’s financial lives was critical so my family would have a place to turn to for help. The caliber of companies and founders was incredibly inspiring and impressive! I’ve walked away from Google Demo Day with new friends, new ideas, and two new potential partnerships. It’s amazing what Google helped make happen in a few short days! 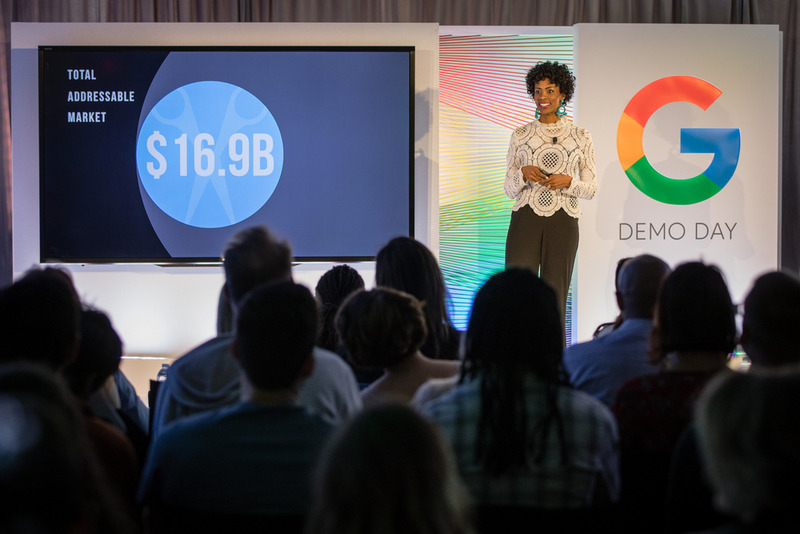 Google Demo Day is just one example of how we support entrepreneurs. We make a collection of resources available at startup.google.com—everything from best practices for getting your business up and running, to how to raise funds and hire the right team. Startup with Google is a resource from our Grow with Google initiative, which is aimed at helping people and entrepreneurs across the United States grow their skills, careers, and businesses by offering free tools, training, and events. Our hats go off to these inspiring founders. We hope to catalyze similar opportunities for this event’s featured founders—and many more female entrepreneurs to come.